In 2013 and 2014, Hackney House Austin took the city by storm with an indelible impression that saw amazing participation by both Hackney tech and creative companies coming to Austin for the SXSW Conference, and engaging the local Austin community to stop by and enjoy a beer while getting to know some of their colleagues across the pond. In 2015, Hackney decided to sit out its 3rd SXSW appearance due to its own high expectations for production and presentation, coupled with an unexpected shortfall in the budget necessary to execute on its objectives. Hey, that can happen. 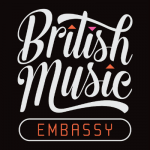 While Hackney House Austin 2015 will be missed, there are still loads of Brits who will be in Austin for the two weeks in March for SXSW Education, Interactive, Film and Music. In fact, the UK represents the largest foreign delegation of registrants to attend the conference each year with over 1,500 participants. 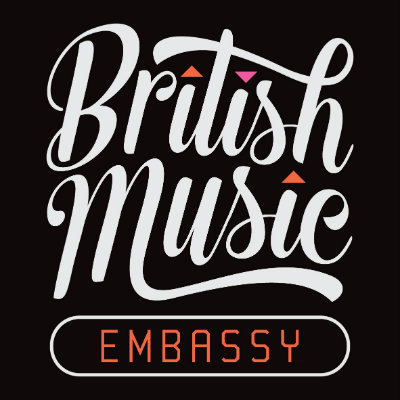 So no shortage of opportunities to still find and connect with new friends and potential business associates or creative collaborators from Hackney, London and across the UK. Strange as this sounds, it’s really not. Reason is twofold: First, Hackney and Oslo have been defining a twinning partnership for the past couple of years and, interestingly, so have Austin and Oslo been doing the same! 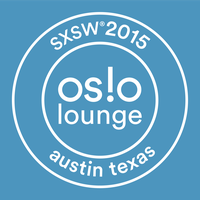 Since Hackney made the decision to take 2015 as a year off from presenting Hackney House House (HHA) at SXSW, the team there has been directing their community who are still heading to Austin anyway to call the Oslo Lounge their local home away from home – with Oslo’s permission and welcome. That’s because Hackney hosted a whole day of Oslo programming at HHA 2014 when the Norwegian delegation was still getting its festival bearings and thinking toward the future. The team at UK Trade & Investment always do several standalone events during SXSW, in addition to having a sizeable SXSW Trade Show floor presence. 2015 will be no exception. This year they are hosting a Friday The 13th Welcome Mixer British companies in town for the conference, some Breakfast Roundtables pairing UK startups with established American businesses on Sunday morning, a Sunday evening whisky tasting at the British Music Embassy, and a UK Expo throughout the days of the Trade Show. 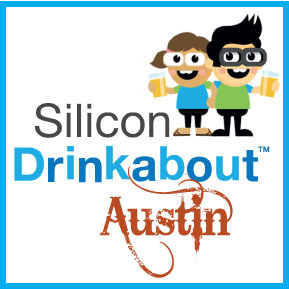 Adapted from the originating Drinkabout in East London, Silicon Drinkabout Austin made its soft debut as part of the opening night of Hackney House Austin during SXSW 2014. Beginning in January 2015, the Austin counterpart has now launched full time under the auspices of London tech startup, Clarify, which relocated its entire team to Austin at the end of 2013. The first few Austin Drinkabouts have held court at Clarify’s “East Austin shed” over a fine keg of beer. But the team is expecting to ramp up to weekly gatherings for much of the year, beginning in Spring, as the weather gets nicer and the word about Drinkabout starts to spread. Follow the conversation on Facebook to get in on the action! This is where you are most likely to meet up, on a regular basis, with many others actively engaged in the Austin-London/Hackney relationship. Hello Lamp Post brings to life the hidden stories of Austin by finding out what the street furniture has to say. Get talking to familiar objects around the city using text messages. For 10 weeks only everyday things will come to life. Text the official Hello Lamp Post phone number to find out what they have to say. Created by London based Pan Studio, the project has been commissioned by the City of Austin Cultural Arts Division of the Economic Development Department in celebration of the Art in Public Places program’s 30th anniversary year, and in partnership with Art Alliance Austin. Find out how to play. 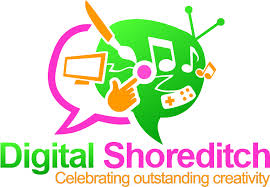 The Digital Shoreditch Conference is back on again for 2015, May 11-14, and Austin is planning on being there again to participate and absorb. It takes place right in the tech/creative heart of Hackney and is a great opportunity to hear the exciting trends in the local, UK and EU markets. Plus work in meetings that the Austin team can help arrange together with partners like UK Trade & Investment, London & Partners, and others. The website shows the conference as being two weeks long, through May 24th, but that second week is really targeted at the local community – schools, youth, immigrants, etc – on a very tactical level to also involve them in the technology conversation and reduce the digital divide. The B2B “business” of the conference is all in that first week. DS attracted over 15,000 participants in 2013 – where Austin Hackney Chair Fred Schmidt delivered a high-energy morning keynote speech about the (then) Austin Hackney Friendship Cities relationship. Conference organizers then elected to sit out 2014 while they reworked some of the event’s format and focus. But it’s back on for this year and promising to be even better and broader. Once SXSW is over, the Austin team will turn its full attention to Digital Shoreditch and putting together its annual Trade & Cultural Mission for the 4th year. All interested parties are invited to join the outing. It’s a great way to take a deep dive into London scene while part of a dynamic group of colleagues and peers who can help leverage the many contacts already engaged there. Feel free to contact any Committee members (found in the About section of this site) with your interest or questions you may have and someone will get back in touch. More information on Digital Shoreditch can be found here at the Digital Shoreditch Conference website. And additional details will start appearing on this site as the Austin excursion and program start taking more defined shape in later March and April.